You probably have life insurance, but what about credit life insurance? It’s not for everyone, and the premiums are higher than regular insurance, but if you’re carrying a lot of debt, it can prevent your family from having to pay off your debts after you pass away. Some lenders will require it, but depending on where you live, the insurance might not cover the full amount of your loans. Credit life doesn’t consider your lifestyle or risks, and anyone can get it. 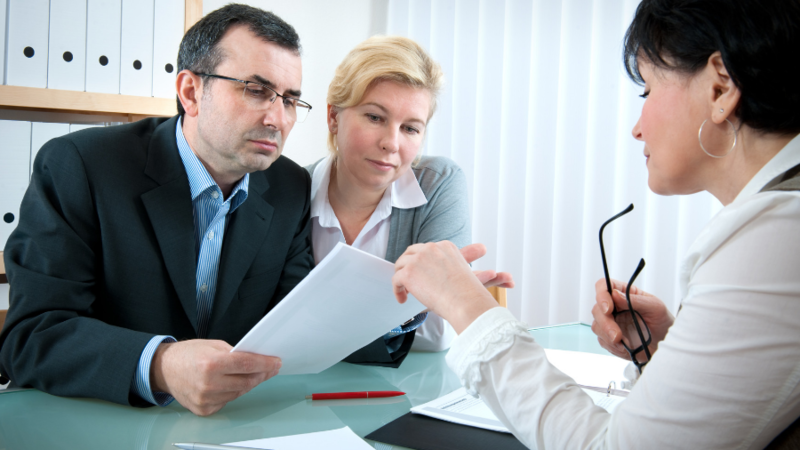 It won’t pay a benefit to your heirs, but having your debts covered will surely help. Credit life insurance covers a large loan and benefits its lender by paying off the remainder of the loan if the borrower dies or is permanently disabled before the loan is paid. Here’s how it works: A borrower takes out a mortgage on a new home and also gets a credit life insurance policy on the loan. The borrower pays a monthly premium in addition to the mortgage payment. In the event that the borrower becomes permanently disabled or passes before the mortgage is paid, the credit life insurance policy pays the remainder. The title of the property is transferred to the borrower’s estate and, eventually, to their beneficiaries. Credit life insurance is only offered by lenders on large loans, such as home loans and auto loans. There’s a greater risk associated with credit life insurance when compared to traditional life insurance, making credit life policy premiums higher. The cost of the insurance decreases as the debt is paid down by the borrower, but the premium will remain constant, often resulting in a loss for the policyholder. The risk at play with credit life insurance is on the policyholder. Anyone who borrows a large loan can be eligible for a credit life insurance policy without undergoing a medical examination or sharing their medical history with the insurance company. Before taking out a credit life insurance policy, check your state laws. Several states have set their own limits on credit life insurance payouts. Depending on individual circumstance, this can mean the loan won’t be fully covered. Sometimes, a lender will require the borrower to open a credit life policy. This usually occurs with mortgage loans in which the borrower is putting down less than 20 percent of the loan value. A few years down the line, when the borrower owns more equity in the home, the lender may consider a borrower’s request to cancel the policy. Exclusion issues are circumvented. Coverage exclusions on standard life insurance policies can be extensive. With credit life insurance, though, exclusions rarely happen. Anyone can be insured. If you’re unable to get conventional coverage for any reason, a credit life insurance policy may be for you.